Chill out and stay cool: Hamilton-based solar and heat pump specialists A&A Solar and Electrical offer a fantastic February special. A heated Hamilton summer slowly draws to a close, but temperatures are still soaring high across the Waikato! Not to worry, you can comfortably chill out and stay cool in your home thanks to Hamilton’s leading solar heating specialists A&A Solar and Electrical and their fantastic February special. The expert team at A&A Solar and Electrical are offering customers the Gree 3.0kw Hansol High Wall Inverter for just $1400 throughout this February! With installation and labour included, this is an excellent value deal that you don’t want to miss out on. This deal is for a standard 3m back to back install in Hamilton area. Charges will apply for any additional works. A&A Solar and Electrical co-owners Andy Cooper and Andy Mann recommend it for bedrooms sized 5m(w)x5m(d)x2.4m(h). 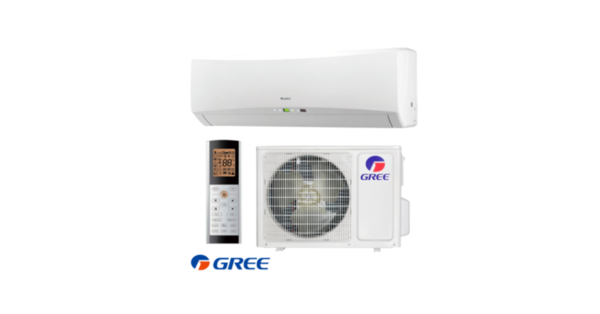 With the Gree 3.0kw Hansol High Wall Inverter, customers will benefit from long-term savings on their power bill and also play an important part in protecting the environment. The Hansol boasts a ductless wall mount air conditioning system, equipped with the latest G10 inverter technology and an intelligent energy saving function. This is specially engineered to reduce up to 65% of your energy consumption! Additional features also include: an extremely intuitive wireless remote control that aids in regulating room temperature with in-built I FEEL automation, a state-of-the-art photocatalytic filter, and an X-fan which improves air quality by eliminating 99.9% of bacteria and viruses, all the while inhibiting mildew growth on its coil. Time to ditch the sweat and welcome the cool breeze. Contact A&A Solar and Electrical today and enquire about this special deal! Whether you are in need of electrical assistance, heat pump expertise, or solar installation, A&A Solar and Electrical have the team for the job; working hard to ensure they stay head and shoulders above the rest as Hamilton and Waikato’s premier heat pump and solar specialists.